Rochelle Potkar is a fiction writer and poet. Her works have appeared in several Indian and international publications. Her first book of short stories, 'The Arithmetic of breasts and other stories' was shortlisted for The Digital Book of the Year Award 2014, by Publishing Next. Her next book, Dreams of Déjà vu is a speculative novel. When the author approached me to review her book it didn’t take me a moment to say yes. Having read her short story in Marijuana Diaries and her other poems in couple of magazines I have always enjoyed her work. This book is a brilliant example of how a book should never be judged by its cover. The name and the cover pic are definitely beautiful (so much that now I am planning to buy a physical copy just to add to my collection as the one I reviewed was an e book) but to call it an erotica novel would be wrong. This book is about love and desire or rather somewhere between love, longing, lust and desire. That would be the perfect place for it to be. I read the book in less than 40 minutes but the effect had numbed me for hours together. And never ever will I be able to read the Ask an expert column in Mumbai Mirror without remembering her story on it. She has taken nuances from daily routine, captured some amazing intricacies and woven such beautiful stories around them that a reader is bound to be mesmerized. The language absolutely lucid and touching, it brings out the beauty in each and every character. To be honest it makes you feel the raw emotion beneath it. 7.5 stories of the book as the author likes to call it are more than just worth a read. It is a book will touch a reader’s heart and soul completely. But then I would like to also add people looking for a light read, please refrain this book is deep. Author has taken the creative liberty of leaving quite a few things to a reader’s imagination and according to me that is where she scores brownie points. Some of the endings of the stories were shattering, in a way that I almost went OMG! That wasn’t what I was expecting. But then this is the charm she has a writer I believe. She takes you around a tale in a way that you feel you know it completely and then suddenly she will introduce a new twist in it making it completely alien for you. Overall a brilliant write up, lovely and enjoyable read! Surely recommended for all readers who enjoy deep, mystifying reads about love and longing; a perfect companion for a lazy rainy afternoon with a cup of coffee. 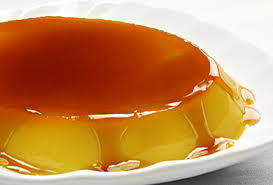 This book is caramel custard - delicious, melts in the mouth, goey with a sweet after taste.